Richard’s baby photo Letter from Detroit on the occasion of a “Celebration Of Life,” for our brother Richard. Dearly assembled – First, please accept my deepest regret and apology for not being able to be with you today. But although I am not there in person, please know I am with each and every one of you in spirit. 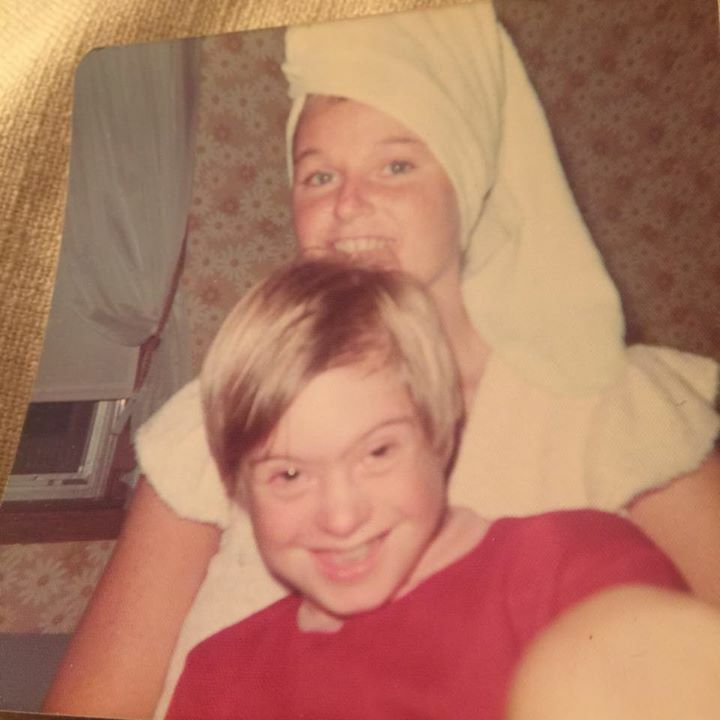 Since I couldn’t make it back home to bid my beautiful little brother Richard farewell for now, I thought I might relay a few positive and pleasant thoughts about my memories of my brother Richard F. Kelly was born at South Shore Hospital on December 18, 1964 with Down Syndrome. I remember how my father would always tell me that, “Richard is an angel sent from Heaven.” At times I struggled with that notion because of some of the frustrations he faced, but today I can honestly say I finally understand exactly what he meant. 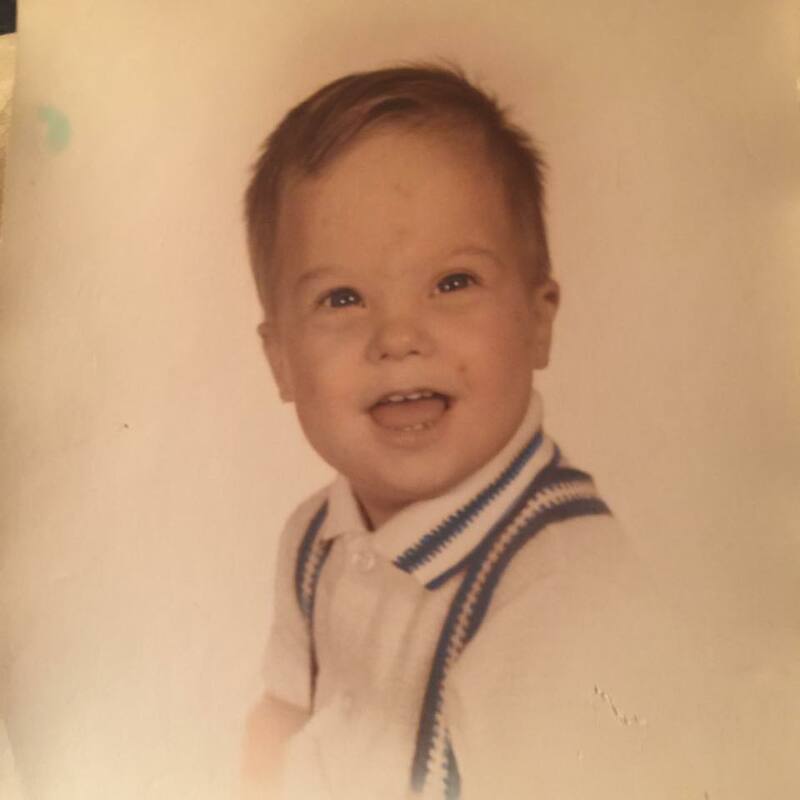 Because through my brother’s astoundingly happy, unique and caring ways, he taught us the importance of compassion and caring for one another. What a wonderful legacy to leave behind! The angel with a sparkle in his eye As a young boy, Richard was simply incredible. He was a happy, precocious, and often, an extremely funny little boy. I can still see him acting footloose and fancy free, pedaling joyously up and down our driveway on Springvale Circle in Weymouth on his “Big Wheels” tri-cycle, his dirty blond hair flying in the wind, holding on firm to the handle and bars flashing the sweetest, angelic smile I’ve ever seen. In that moment, my brother was the picture of pure joy. I also remember how much Richard loved toys and games…all sorts! I will never forget his favorite security blanket of sorts, the ubiquitous Raggedy Ann doll which he love to carry around. And when he wasn’t having his own fun, he would constantly be trying to entertain us. My brother loved to laugh and got equal pleasure from making us laugh too! Here’s my favorite memory of Richard: One day while he was living at the Perkins School in Leominster, the school held an open house, complete with a talent show featuring music and an actual play. Richard was cast, appropriately, in the role of “The Jester,” and his role was to come out disguised in a hilarious Jester costume and run as fast as he could in a large circle of other members of the cast. It was a stellar, four-star, hysterical performance with Richard once again so happy just making us laugh. Richard had a lust for life that would give you goose bumps. His great love of music was astounding. He had an uncanny ability to remember lyrics to his favorite songs, whether it was from “Mary Poppins,” “The Sound of Music,” and “The Wizard of Oz” or simply any catchy hit playing on the radio. He loved music so much it became part of his identity and I believe Richard taught many of us about the power and magic of music. What a wonderful gift, indeed! Richard with his sister Maureen But it is vital to remember Richard was also an extremely caring and sensitive person, especially to anyone injured or in pain. One great example was Richard’s sensitivity and concern he displayed when he was with our sister Elizabeth, after she was paralyzed after being hit by a drunk driver in 1981. Whenever Richard would see Liz in her wheelchair, he would be so compassionate, gentle and concerned. I remember him asking her “Wha’ Happened?” and telling her she would “Get Better Soon.” We may not have been fully aware of it, but I believe Richard was teaching us the vital importance of caring for each other always. 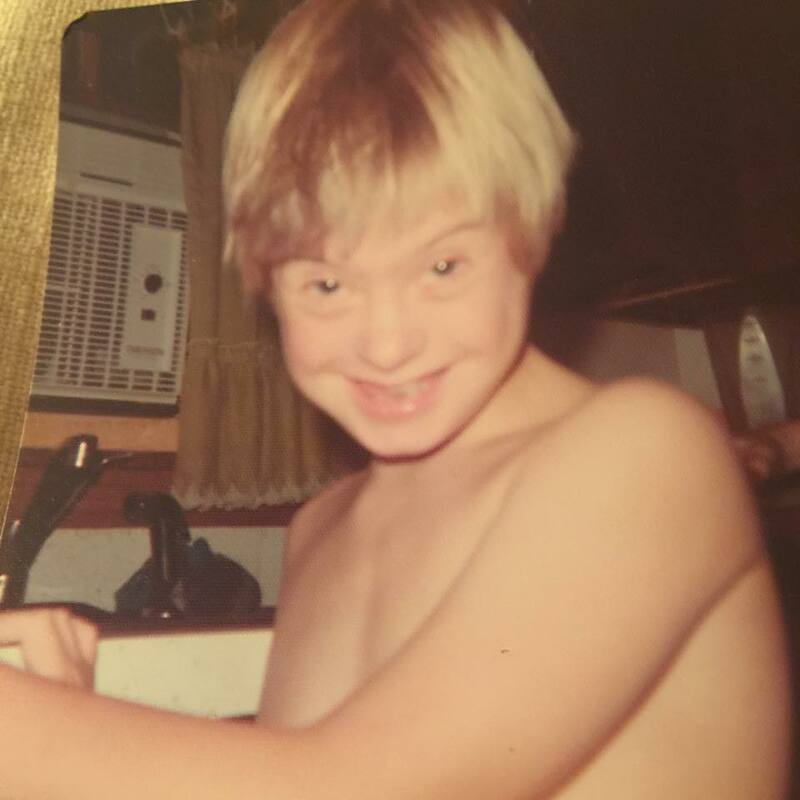 To borrow a quote from another man with a special needs brother, “(Richard) was the Jesus of our family.” He taught us lessons every moment of the time he was with us, just as Jesus Christ did, about compassion, caring and love for all. So on this bittersweet day, as we honor and pay tribute to our brother and friend, let us re-examine our own lives and re-dedicate ourselves to always following his example. May we forever strive to love one another in Richard’s memory. May God bless Richard F. Kelly and may he rest in peace. 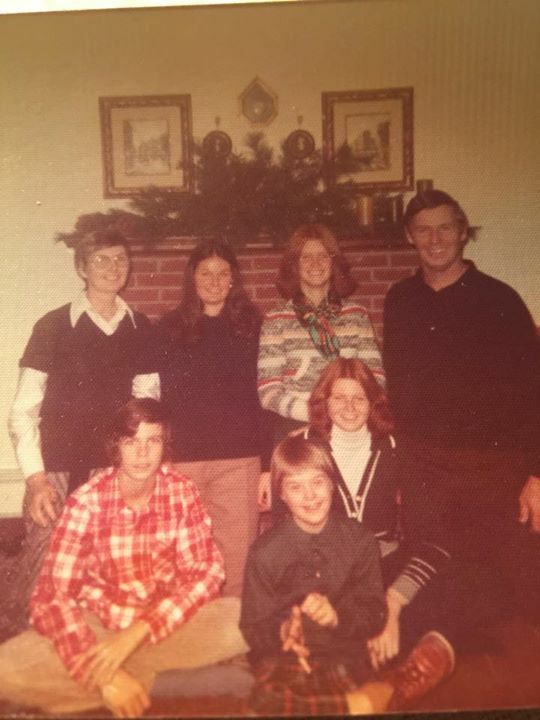 Richard and his family.